Quarterback is not a need for the Broncos in 2015, with Peyton Manning remaining in Denver. 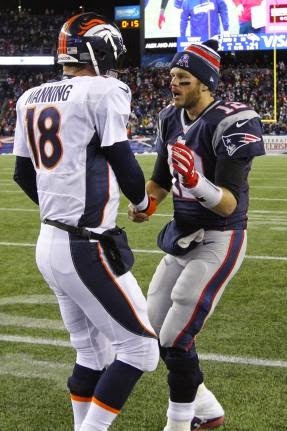 But with Manning’s retirement after this season a strong possibility, quarterback will be a need for the Broncos soon. That’s why, according to Mike Klis of KUSA, it’s a virtual certainty that the Broncos will take a quarterback at some point in Rounds 2-7. 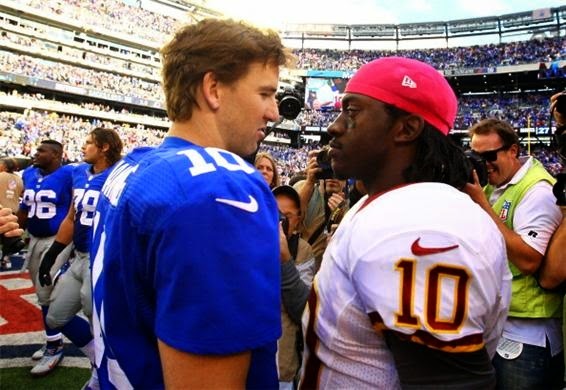 The big question is whether that quarterback will be drafted on Friday or Saturday. If the Broncos use a second-day pick on a quarterback, that’s a bad sign that they’re not sold on Brock Osweiler as Manning’s successor. The Broncos made the surprising decision to select Osweiler in the second round in 2012 despite having Manning in the fold, and so far Manning’s presence has kept Osweiler on the sideline except in garbage time. The Broncos drafting a quarterback in the second or third round would suggest that they doubt Osweiler will be the man for the job going forward. But if the Broncos draft a quarterback on Day 3, that’s more a sign that they want depth and competition at the position. The Broncos also spent a 2013 seventh-round pick on a quarterback, Zac Dysert, and a late-round rookie would compete with Dysert for the third-string job behind Manning and Osweiler. What we know for sure is that Manning is the starter for now, and that John Elway is getting prepared for a time in the near future when Manning is gone. Where Tebow potentially has value to a team is in the things he can do beyond throwing the football: Tebow is good at escaping the pocket under pressure, good at making something happen when a play breaks down and good at managing the clock when his team is trailing in the fourth quarter. There’s value in those skills, which is why Tebow had some success as the Broncos’ starting quarterback. 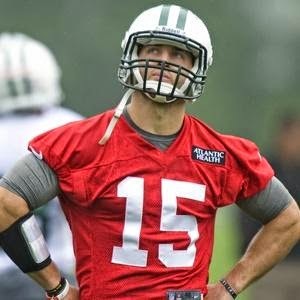 But as a passer, Tebow is limited, which is why he has completed only 47.9 percent of his passes in his NFL career. On Wednesday, Chargers G.M. 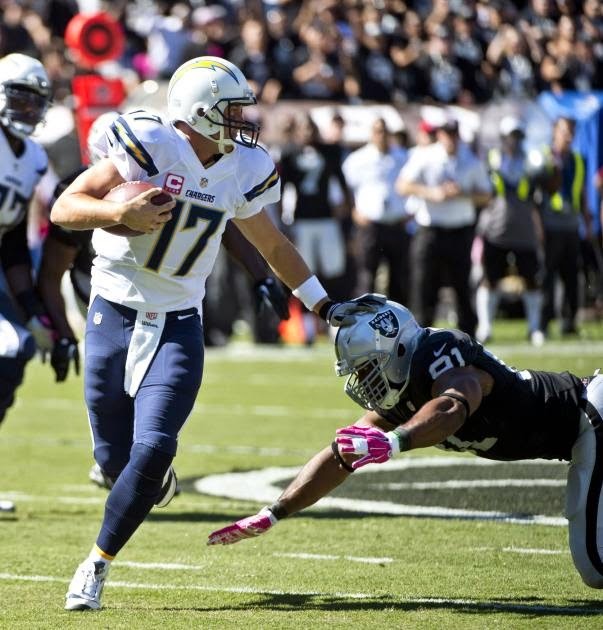 Tom Telesco said the it’s the team’s “plan and intent” to keep quarterback Philip Rivers. On Thursday, Rivers essentially said it’s his plan and intent to stay. In this case, “the media” includes former Rivers teammate LaDainian Tomlinson, who has said that he believes Rivers wants out of San Diego. “The media” also includes U-T San Diego, to which Rivers said last month that he’s not inclined: (1) to extend his contract before it expires after the season; or (2) to move his family to Los Angeles. It’s entirely possible that the chatter about a potential trade arises from posturing regarding the quarterback’s next contract. 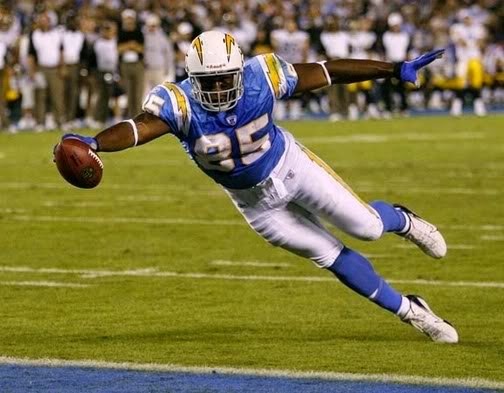 But with Telesco not clearly and unequivocally dismissing the possibility of a trade and declaring that Rivers will remain with the Chargers for the rest of his career and acting as if even the mere question of a possible departure is an affront to Telesco’s intelligence, the door remains open for Rivers to walk out of town. When it comes to running back Adrian Peterson, the Vikings have three options: (1) keep him and try to make him happy; (2) keep him regardless of whether he’s happy; or (3) trade him. The Vikings have adopted the position that they’ll keep Peterson regardless of whether he’s happy, and it doesn’t appear to be a ruse aimed at coaxing a greater offer via trade. 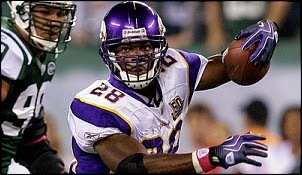 The Vikings want Peterson, and they’re confident that the passage of time will smooth over any ruffled feathers. That said, it’s possible that someone will make them a trade offer that gets Minnesota’s attention — under the same theory pursuant to which any player on any team is, in theory, available via trade. If another team puts enough picks and/or players on the pile, even an untouchable player will be asked to pack his bags. In this case, that’s not expected to happen. A source with knowledge of the situation tells PFT that a recent report that they’d want a first-round pick and a starting cornerback isn’t accurate, which suggests it would take even more than that to even begin to get the Vikings to consider making the deal. And for good reason. 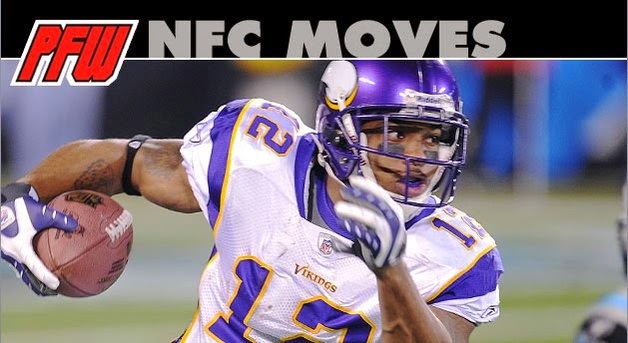 Absent a package that will have the same impact on the Vikings that Peterson could have in 2015, given an improving defense and a young franchise quarterback distributing the ball to a respectable complement of receivers, the Vikings have no reason to make a deal. Look for plenty of noise and agitation about a possible trade over the next 10 days, with the possibility that someone will decide to put together a modern-day Herschel Walker-type package. Absent that, the Vikings likely will keep Peterson’s rights and hope that he eventually realizes that his best move will be to honor his contract, accept $13 million, and resume his chase for the all-time rushing record, which remains 8,165 yards away. Which requires five seasons of, on average, 1,633 yards per year. That’s a total Peterson has surpassed only twice in his career. Based on how he performed in 2012 after tearing an ACL on Christmas Eve of 2011, it wouldn’t be wise to ever bet against Peterson. But if he plans to prove the doubters wrong and if the Vikings plan to keep him for the next three seasons, Peterson’s best bet will be to stay put and to play hard. Chargers tight end Antonio Gates recently said that, instead of playing “the whole game” in 2015, he’s more likely to play only in those situation where he’s likely to get the ball. He now says he didn’t say what it sounded like he said. “For me, to put in all this work in all these years and have the opportunity to play and say I don’t want to play, I don’t know where people got that from,” Gates told Michael Gehlken of U-T San Diego. So Gates doesn’t want to play less in 2015. Regardless of whether he said he does. Michael Crabtree doesn’t have to move very far. The former San Francisco 49ers receiver officially signed a new deal with the Oakland Raiders on Monday night. The deal is reportedly worth $3 million for one year with incentives available as well. 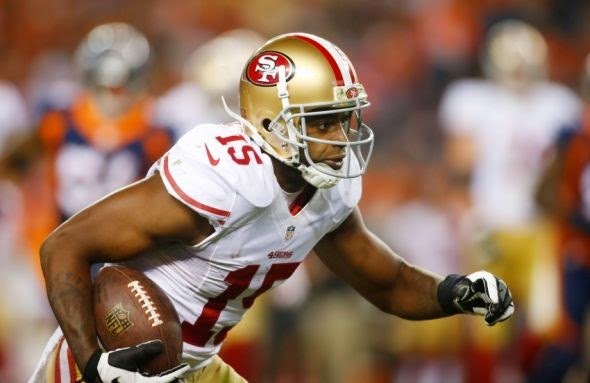 Crabtree spent the first six years of his career with the 49ers, where he appeared in 79 games with 77 starts. Crabtree had 347 receptions for 4,327 yards and 26 touchdowns over that span with an additional 40 catches for 516 yards and four touchdowns in eight postseason games. His best season came in 2012 when he racked up 85 catches for 1,105 yards and nine touchdowns. However, an Achilles injury derailed most of his 2013 season and Crabtree posted the worst full season numbers of his career in 2014. As a result, the free agent market for Crabtree was somewhat lacking and it took close to a month for interest to truly pick up. Crabtree joins James Jones, Andre Holmes and Rod Streater as options in the passing game for quarterback Derek Carr in Oakland. ESPN analyst Ron Jaworski was already on the record saying he wouldn’t pick Florida State quarterback Jameis Winston first overall. Now, he’s saying he doesn’t think the Buccaneers will, either. During an interview with CSN Philly Sports Talk, Jaworski said he thinks the Bucs are going to surprise everyone and take Oregon’s Marcus Mariota. Perhaps that rise is on the recommendation of Eagles coach Chip Kelly, who is apparently talking up his former quarterback to others in the league. Of course, Jaworski is no stranger to taking a contrarian position, and he’s also not paid to be a reporter. But coupled with Mike Mayock’s about-face last week — and the fact the Bucs put it on their own website — it might be smoke that indicates a fire is about to be made with a bunch of mock drafts. The Stevan Ridley free agency tour has come to a close, and he’s landing with the Jets. Ridley is signing with the Jets, Ian Rapoport of NFL Network reports. Ridley also paid visits to Miami and Washington. The 26-year-old Ridley was the Patriots’ starter at the beginning of last season, but he suffered a torn ACL in October, ending his time with the Patriots. He’s not all the way back to 100 percent yet, but he is expected to be good to go for the Jets by the start of training camp. 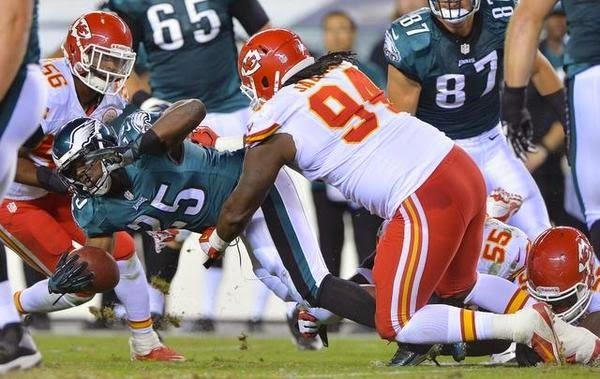 In four NFL seasons, Ridley has 649 carries for 2,817 yards and 22 touchdowns. Washington quarterback Robert Griffin III wasn’t exactly effusive with praise when asked to assess coach Jay Gruden in a recent interview. Reports late last season suggested that Gruden wanted Griffin gone, but Griffin said the two of them have the same goal. How long Gruden is committed to Griffin as his starting quarterback remains to be seen. For now, Gruden and Griffin are tied together, and Griffin sounds ready to make the best of it. Even if he doesn’t sound thrilled. Eagles coach Chip Kelly got rid of running back LeSean McCoy so that Kelly himself would get more of the credit for the offense in Philadelphia. At least, that’s how McCoy sees it. McCoy, now a Buffalo Bill, said at the first day of his new team’s offseason program that Kelly would rather have anonymous players around than stars so that it’s Kelly himself who garners most of the attention. Of course, DeMarco Murray is a star player, and Kelly signed Murray to replace McCoy. But McCoy thinks Kelly showed last year by cutting DeSean Jackson that if a player gets too much credit, that player won’t be around for long. Whatever the reasons, Kelly has radically reshaped the Eagles’ roster with some surprising personnel decisions. He’s set him up for a season in which he’ll either get a lot of credit, or a lot of blame. Saints coach Sean Payton goes for it on fourth down far more often than any of his colleagues around the NFL. In fact, in 2014, Payton went for it on fourth down more than twice as often as an average NFL coach would have, when faced with the same circumstances. 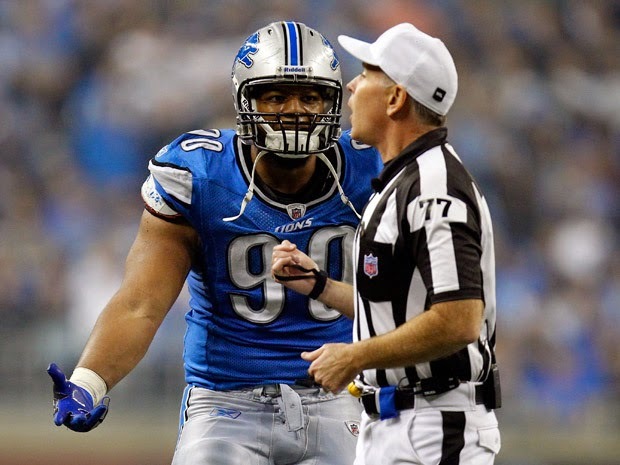 FootballOutsiders.com analyzed every fourth-down decision in the NFL in 2014, adjusting for the distance needed for a first down as well as where the team was on the field and the score of the game (filtering out times when a coach goes for it because his team is getting blown out), and found that Payton had an Aggressiveness Index of 2.01. Many statistical analysts say that NFL coaches should be more aggressive about going for it on fourth down, but Payton says he relies less on statistical analysis than on gut feeling. 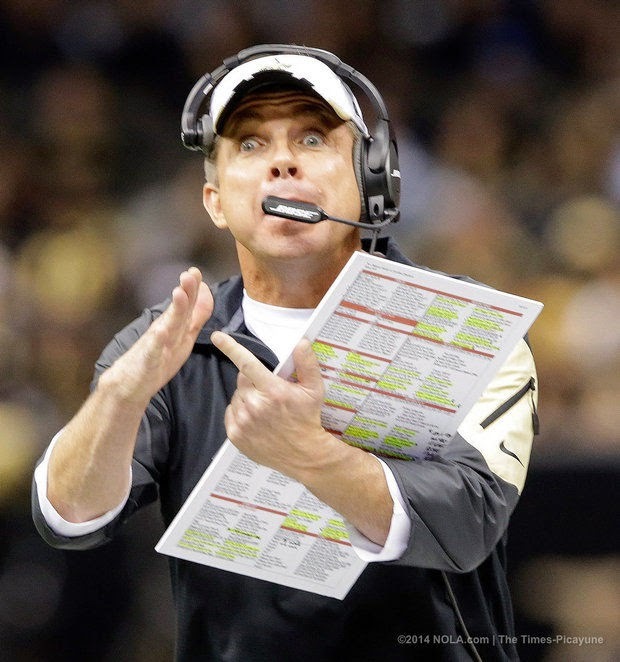 Payton explained during the 2014 season that when the Saints face a fourth down, he usually just makes his decision based on whether he has a feeling that the Saints’ offense can call a play that will work in that situation. Whatever the reasons, Payton feels like going for it more often than other coaches. Analyzing fourth-down data going back to 1989, Football Outsiders found that there have only been eight seasons when a coach was more than twice as aggressive as his peers — and two of those seasons were Payton-coached Saints teams. In addition to the Saints’ Aggressiveness Index of 2.01 last year, the Saints had an Aggressiveness Index of 2.22 in 2007. Unfortunately for Payton, those also happened to be his only two seasons with a losing record. Payton isn’t afraid to go for it when his team needs it, but he’d be better off if his team didn’t need it. 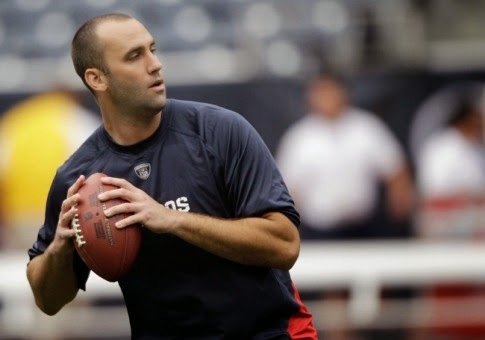 Quarterback Matt Schaub has made plenty of money over the years for playing quarterback at a good but not great level. In 2015, he’ll make pretty good money by, ideally, not playing at all. Per a source with knowledge of the situation, Schaub’s deal with the Ravens has a base value of $2 million, with $1 million to sign and a $1 million salary. Contrary to a report that the deal is worth $3 million, the final $1 million comes from extra amounts — amounts that will be difficult for Schaub to earn if he’s not playing. Given that Schaub will be backing up a guy who has started every game of his eight-year career, it’s unlikely that Schaub will unlock any payments based on playing time. Based on the relative performances of Joe Flacco and Matt Schaub in recent years, the Ravens and their fans surely hope that won’t be happening.